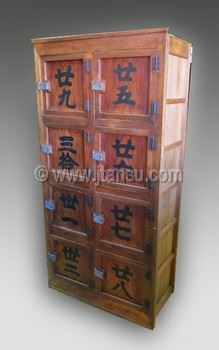 Rare Japanese locker chest tansu, Meiji period, c. 1868-1912. A great find! Traditional design, featuring a variety of hinged cabinets. Fashioned of warm, golden cypress and cedar woods. An unusual item in very good condition. Dimensions: 76” high, 32” wide, 18” deep. 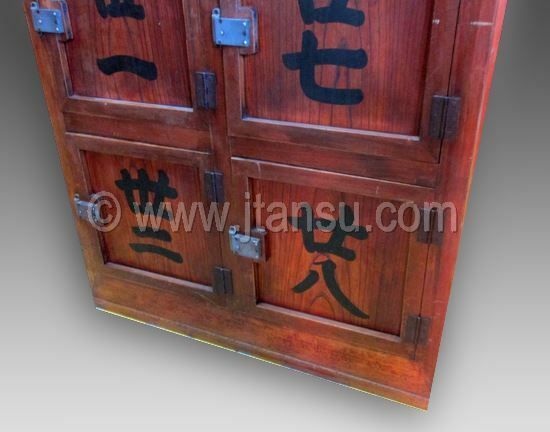 WHAT MAKES OUR TANSU SO SPECIAL? When you purchase one of our tansu, you can be sure that it will be of the highest quality, original, clean and functional. 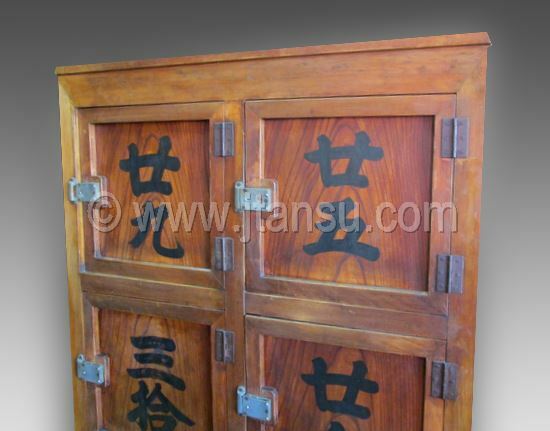 Our antique tansu are carefully selected in Japan among the very best. 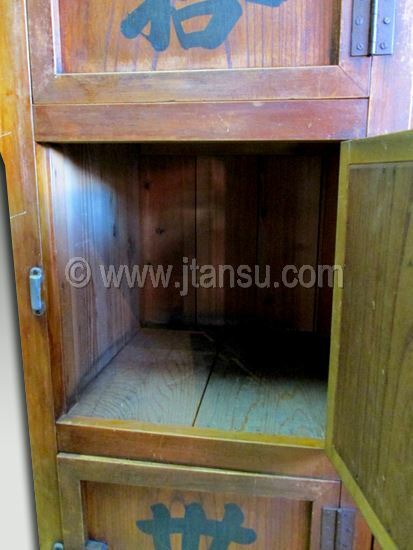 At Jtansu they undergo a delicate but thorough cleaning to remove century-old dust and grime. 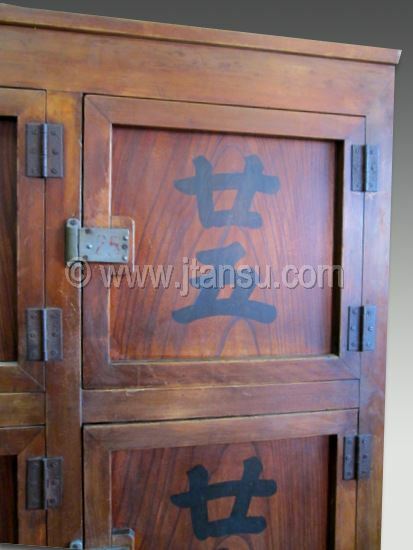 Our tansu specialists adjust drawers, sliders and locks to make sure every part is in working order. Often they apply a light wax coating to restore the piece to its original shine and splendor.